Suburbs of Centralia: Fords Prairie, Grand Mound, Waunch Prairie. 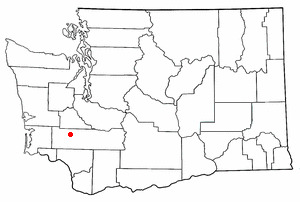 Centralia is also known as: Lewis County / Centralia city. Zip codes in the city: 98531. Some of the notable people born here have been: Lyle Overbay (baseball player), Brock Peterson (baseball player), Nathan Overbay (american football player), Bob Coluccio (baseball player), and Charlie Albright (pianist). Centralia /ˌsɛnˈtʃreɪliːə/ is a city in Lewis County, Washington, United States. The population was 16,336 at the 2010 census. It was written on January 29th, 2019 that Doris Fae O'Neill (Walser) died in Centralia, Washington. Ms. O'Neill was 90 years old. Send flowers to express your sympathy and honor Doris Fae's life. It was noted by Register Guard on January 13th, 2019 that Gale Thiessen (Headley) died in Eugene, Oregon. Ms. Thiessen was 95 years old and was born in Centralia, WA. Send flowers to express your sorrow and honor Gale's life. It was reported by The Chronicle on December 12th, 2018 that Glenn LeRoy Faires died in Centralia, Washington. Faires was 82 years old. Send flowers to express your sorrow and honor Glenn LeRoy's life. It was reported by The Chronicle on December 12th, 2018 that Gleen Ree Thompson passed on in Centralia, Washington. Thompson was 94 years old. Send flowers to express your sorrow and honor Gleen Ree's life. It was noted by The Chronicle on December 10th, 2018 that Howard James "Jim" Elder died in Centralia, Washington. Elder was 81 years old and was born in Danville, IL. Send flowers to express your sorrow and honor Howard James "Jim"'s life. It was written by The Chronicle on December 6th, 2018 that Stephen Rodney Sr Althauser passed on in Centralia, Washington. Althauser was 82 years old. Send flowers to share your condolences and honor Stephen Rodney Sr's life. It was written by The Chronicle on December 4th, 2018 that Francis Timothy "Tim" Ridenour died in Centralia, Washington. Ridenour was 61 years old and was born in North Platte, NE. Send flowers to share your condolences and honor Francis Timothy "Tim"'s life. It was reported by The Chronicle on November 26th, 2018 that Willene Violet Heffley (Ward) passed on in Centralia, Washington. Ms. Heffley was 78 years old. Send flowers to express your sorrow and honor Willene Violet's life. It was written by The Chronicle on November 23rd, 2018 that Annita Alice Hilpert passed on in Centralia, Washington. Hilpert was 75 years old. Send flowers to express your sorrow and honor Annita Alice's life. It was disclosed by The Chronicle on November 21st, 2018 that Claude Ray Crow perished in Centralia, Washington. Crow was 90 years old. Send flowers to share your condolences and honor Claude Ray's life. Cable television and early mobile phone entrepreneur Craig McCaw is also originally from Centralia. Other notable natives of Centralia include Toronto Blue Jays first baseman Lyle Overbay, free agent Calvin Armstrong, and modern dancer Merce Cunningham. Centralia is a city in Lewis County, Washington County, Washington, United States. The new owner built a home and filed a plat for the town of Centerville, offering lots for $10 each, with one lot free to buyers who built houses. Later, Cochran freed his slave, adopted him as a son, and in 1852 sold him his claim for $6,000. 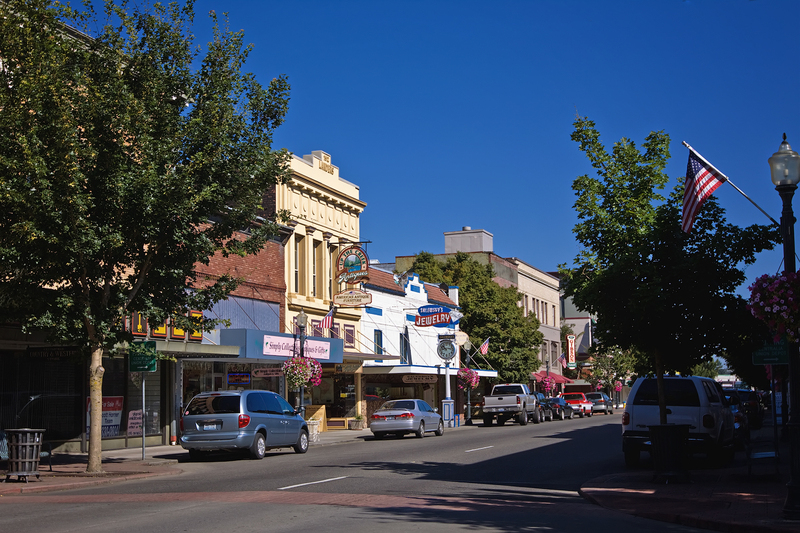 The official website for the city of Centralia is http://www.cityofcentralia.com/. Listing all funeral homes in Centralia, Washington so you can easily send flowers to any location (same day delivery) or find any funeral service. Sticklin Funeral Chapel, Centralia, WA : Reviews and maps - Yahoo! Local, 360.736.1388. Get Ratings, Reviews, Photos and more on Yahoo! Local.